How to Start a Food Delivery Startup Business Successfully? Food delivery businesses are one of the most popular all over the world. The prospects and opportunities are welcoming thousands of food delivery startups to start their business and grow. 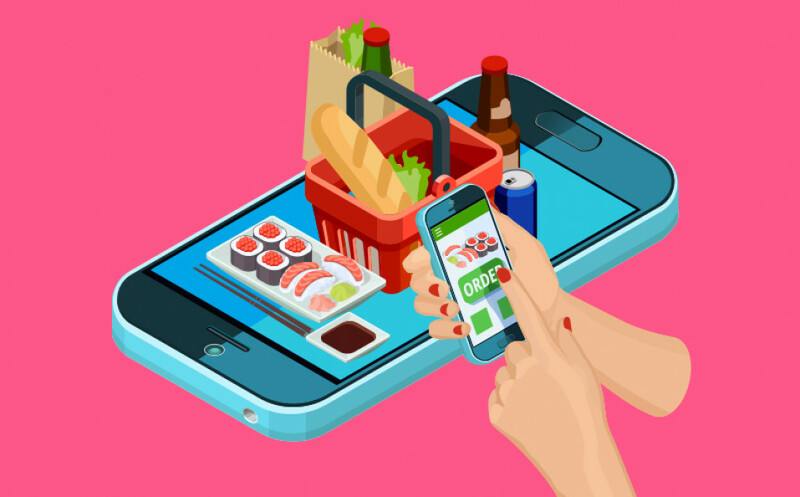 With the increase in the popularity of the food ordering and delivery apps, food delivery business has gained a new pace. The first important step in the stage for any business is to survey the existing market, with no exception in case of a food delivery business. This reveals the products which are likely to be in demand, and the ones, declining down the popularity line. The food delivery startup company needs to survey the market thoroughly such that the demand and response from the existing customers could be identified. It is important to choose a city that has less competition in the food delivery startup. For example, in India metro cities such as Bengaluru, Delhi, Chennai, Kolkata, Mumbai has a huge number of food delivery companies, offering ordering and delivery services. However, cities such as Raipur, Mysore, Durgapur, Thane, and many others have much lesser number of food delivery operators. Hence, for a startup, it is easier to target cities where competition among the various brands is comparatively less, thus helping the business to flourish and gradually capture the market of other famous cities. Food delivery model needs to be decided and chosen by the company. The popularly used models include the order only model, order and delivery model and the full-service model. This is one of the oldest models used in food delivery startups. 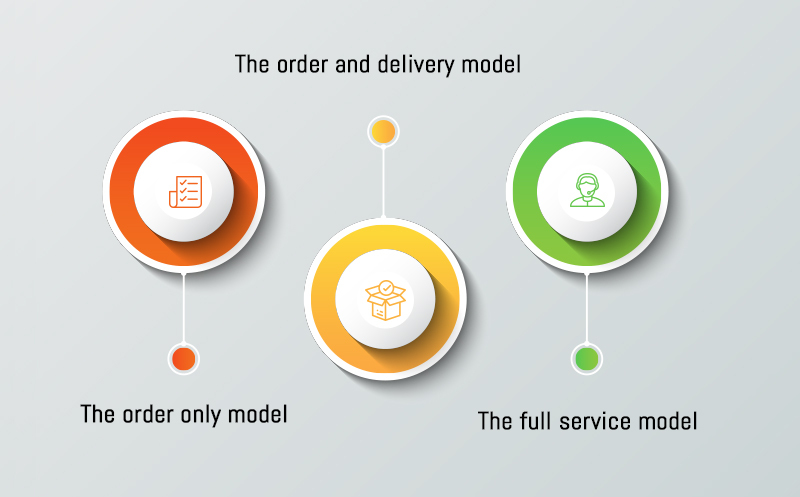 In this model, the delivery company acts as a mediator between the customers and the restaurants, taking the orders from the customers and forwarding them to the respective restaurants. The offer no delivery services. This is the most popular model that is used by people all over the world. In this model, the company acts as a mediator as well as logistics partner for the restaurants, collecting the orders, picking up the food from the restaurants and delivering them to the customers. 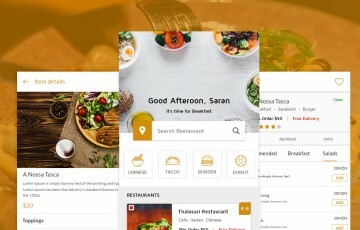 This model is used for one restaurant or a chain of restaurants, where the entire process of collecting the orders, food preparation and delivery are done by the restaurant itself and the app developers simply develop and deliver the app to the restaurant or restaurant chain. It is important that the most suitable and relevant business model is chosen by the food delivery startup. Food delivery companies receive a high amount of revenue as a commission from the restaurants integrated in their platform. This is one of the major sources of income that online delivery startups have. The amount of commission charged is almost 0-30%, which increases with the popularity of the food delivery company. An additional amount of 15- 50 INR is charged from the customers as a delivery charge. This is also one of the major ways of earning revenue for the food delivery startup. Some of the restaurants in the food delivery mobile app appear at the top of the search list in the mobile app. These restaurants are featured ones, and they have to pay a certain amount of money, for a certain number of days, to be featured at the top of the search list. This also offers a high revenue to the food startup. Once the business model is chosen and confirmed, the startup should consider their capacity to cater to the people. For a food delivery startup, it is important to focus on a smaller area of delivery. Once that is successful, the company can spread its business to more people and Cities. Lack of awareness among the restaurant owners, about the benefits of an online food delivery platform, might result in restaurants not wanting to use the platform. Moreover, many famous brands may not want to use a startup platform for food delivery, as they fear to lose their goodwill, if integrated with not so famous food delivery platform. In order to ensure the success of the food delivery and ordering startup, it is essential to ensure that the maximum number of restaurants in various localities tie up and agree to use it before it can kickoff. The development of the food delivery app is critical and needs to be taken care of by highly experienced developers, who have experience in mobile app development. The app should be loaded with user-friendly features and be easily navigable, to attract more customers. Moreover, the budget, along with ensuring the quality of the app, needs to be taken care, to prevent lack of capital and abortion of the project. 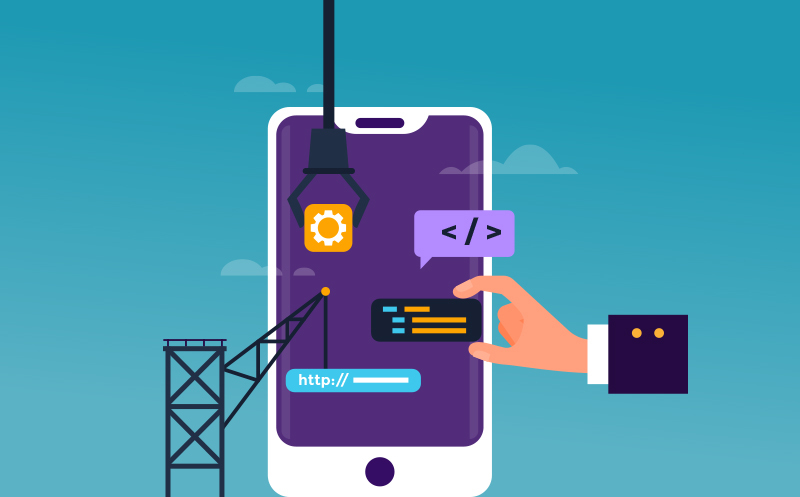 It is critical to entrust the app development in the hands of experienced and committed professionals, to ensure the best possible apps being developed. The cost is an important factor that needs to be considered for a startup company. Develop the app at an optimum cost, such that the best apps, with user-friendly features, could be offered. Hiring resources are also critical that needs to be taken care of by the company before it is good to start its business. The following resources are the minimum to start with. 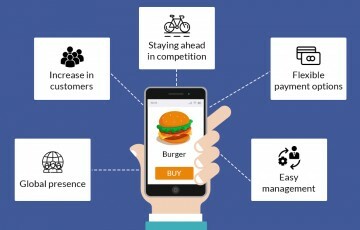 Once the food delivery startup apps are developed and deployed, it is important to build an in-house customer support team or outsource it to some other companies, such that the queries and complaints of the customers could be handled successfully, without increasing the dissatisfaction of the customers. Depending on the chosen business model, the logistics and delivery operations need to be taken care of. If the food delivery startup chooses to go with the business model of order and delivery, then the logistics and the delivery boys need to be deployed and managed efficiently. Successful deployment does not end the checklist for the food delivery startup companies. It is important that the feedback is collected from the customers, from where the operations started, such that improvements and enhancements could be made to capture a larger market and compete with the best of the food delivery apps. This is a complete and comprehensive guide of how to start a food delivery business successfully with minimum resources and optimized budget. Since the food delivery business has a good opportunity, there is high competition as well in the market. Hence, care needs to be taken such that the new build company can survive the high market competition. How to encourage restaura... On demand food ordering system is one of the most popular business among all the on-demand software.